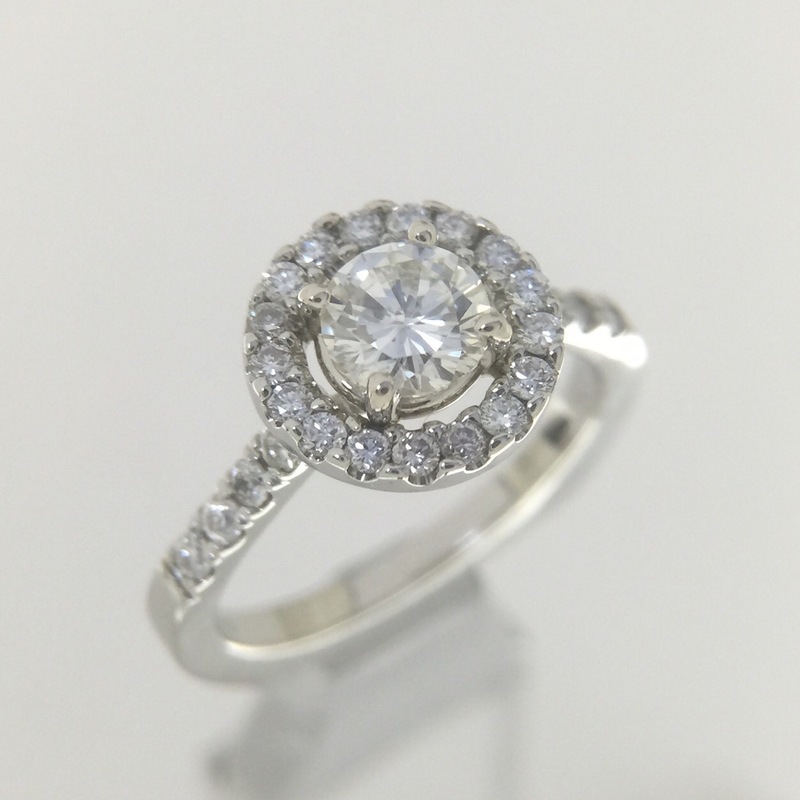 Beautifully simple halo engagement ring. Totally elegant. 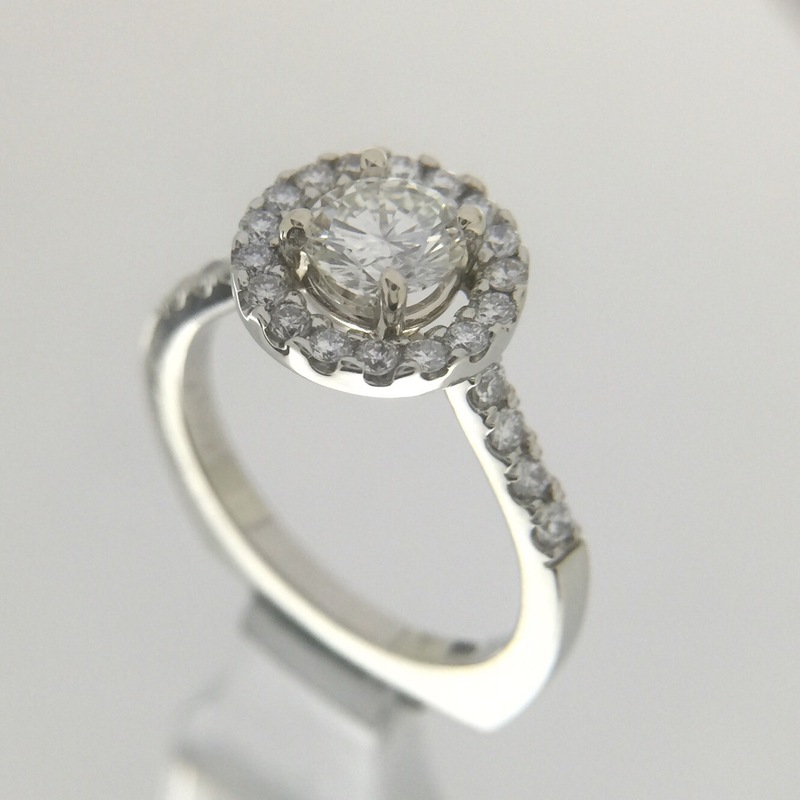 We stepped up the quality of the classy engagement ring with VS clarity stones and 14k super white gold that does not require rhodium plating. I carved the wax model and used round burs that were slightly smaller then the stones being used. 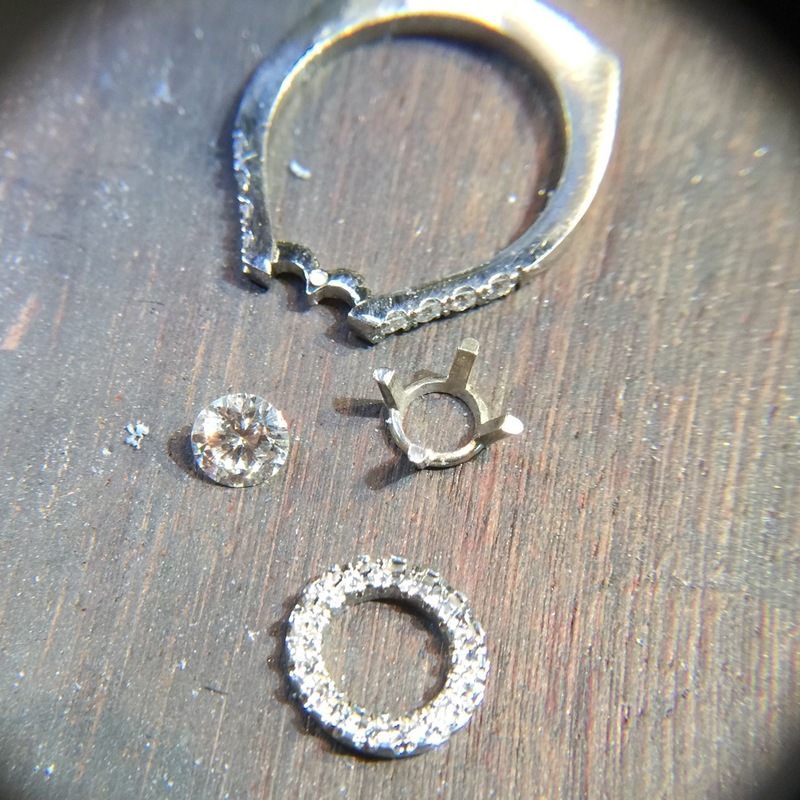 The reason why is because I knew that I was going to redo the micro prongs once it is was in metal. I had to make the halo 3 times to get the right combination of size of diamonds to number of diamonds to go perfectly around. I cast the pieces separately so I could nicely polish the gallery before assembly. I set the diamonds in the mounting. 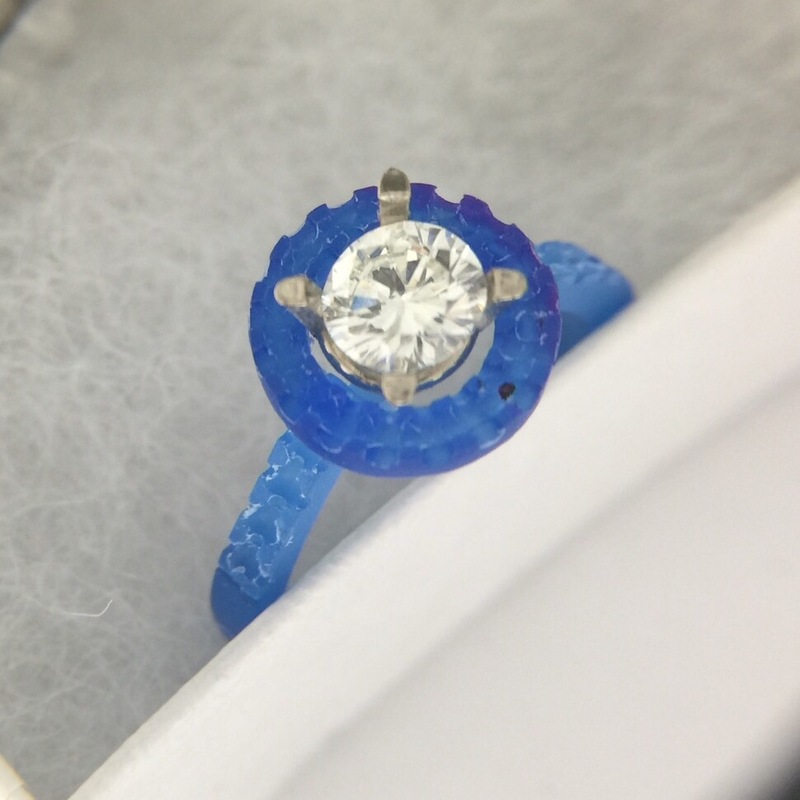 I stuck the blank halo in shellac to hold the piece while I set the stones. I sanded and polished it up and soldered it to the mounting. I cut the bottom off a thick basket head and polished up before soldering it in place. I set the major stone and gave it a final polish.